Welcome to Laingsburg United Methodist Church! or you have been reading it for years, this study will be right for you. Every Sunday morning, beginning at 10am, we have our weekly worship service in our sanctuary. During this service, we sing and hear music, read scripture lessons, have a sermon, share community prayers, and much more. We like to describe our services as being relaxed and comfortable while maintaining some important worship traditions. Everyone is welcome in the service, especially children of all ages (even crying is welcome – that’s a child’s prayer, too). We promise that you will not be made to introduce yourself to the church or embarrass you in any way. We hope that you’ll come and enjoy a worship service with us. “The Core” Youth Group: 2nd and 4th Sundays of each month 5:30-7:30pm. 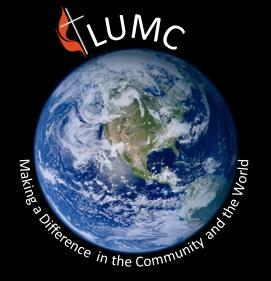 “United Methodist Women” (UMW): Meets every 2nd Tuesday beginning at 10am (all women invited). “Pastor’s Studies”: Throughout the year. Family & Fellowship events: Throughout the year.